Endeavour is a series I hugely enjoy. I’ve talked about it previously at length, talking about the sheer brilliance of the programme here and the incredible music that the show has which, when added onto the edited film, as Russell Lewis said makes the series “completly different”. 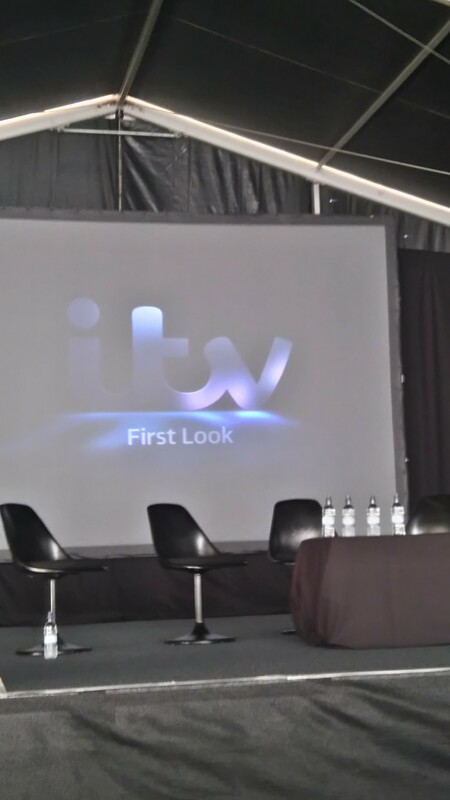 A few weeks back I was invited to the Radio Times Televison Festival to see a panel dedicated to Endeavour. Here is what happened. 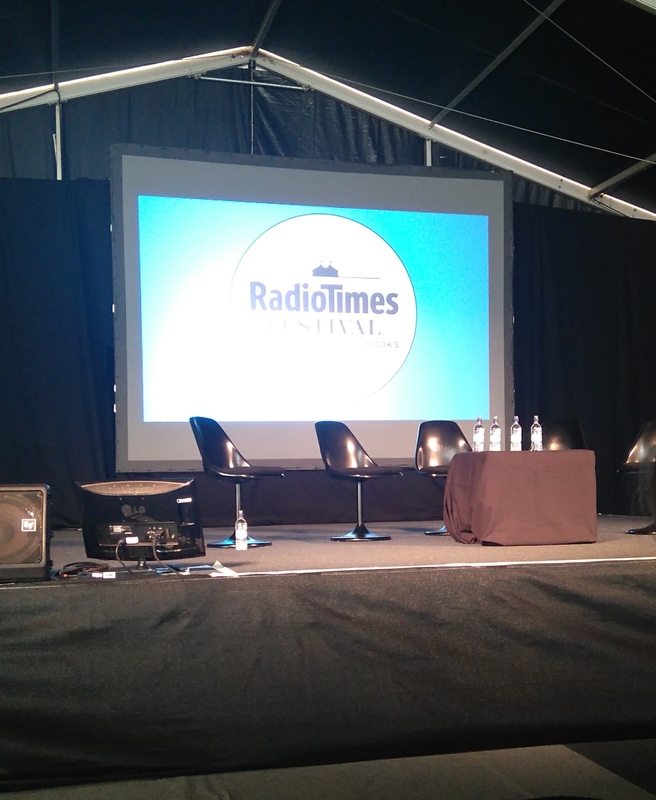 On a late September afternoon I arrive at the Radio Times TV Festival Tent. The sun sparkled in the sky as we all trooped into the tent and proceeded to take our allotted spaces waiting for the panel to arrive. The panel consisted of Endeavour himself, Shaun Evans; writer Russell Lewis; executive producer and Dorothea Frazil herself, Abigail Thaw along with executive producer Damien Timmer. As the panel settled in their respective places the discussion began. Beginning with the first episode of the series and in particular the famous last shot of the pilot, the panel discussed how the episode had been an effective set up for the rest of the series and how it particularly showed off Evans as Endeavour. Russell Lewis brought up how the series had started, based around a short story that the creator of Morse, Colin Dexter had written about a young Morse and how from that point the idea seemed to be perfect. Lewis also revealed how because of Dexter’s love of crosswords, throughout the episodes he has written, he has often included cryptic clues and in jokes. The example that Lewis gave was that hidden within Dorothea Frazil’s name is reference to one of the most important figures in the Morse TV series, something that Abigail Thaw was shocked to discover. Following on from this the panel discussed how the cast worked together. Both Thaw and Evans described the particularly close relationship that the cast have, describing how they all want to work on the series because “everyone puts the effort in”. Writer, Russell Lewis agreed on this point and said that he felt that is was a pleasure to write for the series because everyone loved it so much. Shaun Evans followed on from this by speaking about how everyone in the cast enjoyed working on the programme so much not just because of the feeling of unity but also the fact that the writing was so good, something which he said was central to any TV drama. Thaw agreed and said that her father had been the same; judging the work he took on the quality of the script and the nuances of the writing. Evans then went to talk about how Roger Allam (Inspector Fred Thursday) who wasn’t present at the panel due to other working commitments, also felt that the writing was important and that the combination of the fine acting, directing and writing made Endeavour particularly special. After this the panel moved onto talking about the up and coming third series of Endeavour (set to air later this year on ITV) and showed a clip from the first episode of the series. Lewis spoke about how the series, set in 1967, is a “transition” point for both the character of Morse and the series as a whole. Lewis talked about how, in the swinging sixties, Morse feels “out of place” saying that he is “of other another time”. Thaw agreed with him saying that was part of why she felt that the character had such a special appeal and why her father enjoyed playing him so much because he was the different character, this almost tragic character. As the panel ended Lewis promised that the third series would take the series in a new direction and onto a fascinating new course. With thanks to the Radio Times TV Festival.